"Bishop and the Gargoyle Episode"
This collection includes Rare Detective and Crime shows from old time radio's golden era. Some of the shows only lasted a few short months, some were summer replacement shows, and some are so rare only one or two episodes remain. Rare Detective and Crime shows is a fascinating look at the different key players in crime solving including detectives, spies, private investigators, cops, FBI agents, newspaper reporters, attorneys, defense attorneys, informants, and even personnel in the emerging field forensic science. Amazing Mr. Tutt - A clever Yankee lawyer who uses drama and action to prove his case often in place of evidence and facts. Armstrong of the SBI - Sponsored by Wheaties and starring Carlton Kadell, a forensic detective who works for the Scientific Bureau of Investigation (SBI) solving murders with brains and evidence. Attorney of the Defense - We are innocent until proven guilty, but sometimes proving the defendent's innocence is more difficult than finding the guilty party. 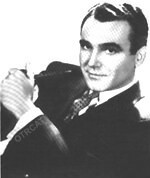 Barton Yarborough of Dragnet appears in the episode. The Bishop and the Gargoyle - The title is a metaphor for this unlikely crime fighting duo: the Bishop is a former minister and the Gargoyle is an ex-con. Together they solve crime in this unique old time radio show. Chick Carter - the adopted son of the famous detective Nick Carter, the young Chick and his buddies Tex and Sue are on the beat, solving crimes, tracking the guilty, and having wild adventures. Crime Correspondent - this old time radio show features another type of crime solver, the crime reporter Larry Mitchell. Crime Letter from Dan Dodge- similar to the very popular Sam Spade, this show begins and end with Dan Dodge recapping the events in a case to his secretary. Myron McCormick starred as Dan Dodge and Shirley Eggleston played Susie the secretary. Crime on the Waterfront - Lou Kagel is an NYPD detective who specializes in crime on, by, or in the water. 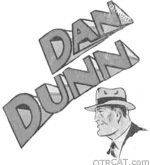 Dan Dunn: Secret Operative Number 48 - This cartoon detective made the jump from the funny pages to the airwaves. Mr Aladdin - A summer replacement for Broadway is My Beat, features magic to solve mysteries in Manhattan starring Paul Frees. Ned Jordan, Secret Agent - This is an old time radio show about a secret federal agent who's work ranges from pretending to be a railroad worker to protecting the plans for a new US Army tank from spies. Police Blotter - "Authentic dramas of the police work in the constant battle that goes on night and day against crime." Somebody Knows - Summer replacement series for Suspense with the premise was that there are no perfect crimes, that someone, somewhere, could have the one missing clue. The McCoy - Howard Duff stars as the private investigator McCoy who uses tough talk and a fast fist to solve murder crimes. Be the first to comment on "Rare Detective and Crime Shows"